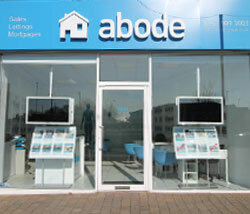 Abode Lettings offer hassle free lettings for tenants and landlords. From the moment you register your interest in a property, right through to daily maintenance issues once you have moved, we provide you with a professional service. 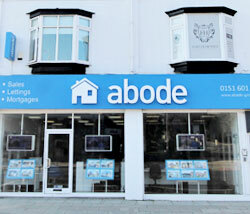 When you become interested in renting a property, simply call our offices on 0151 909 3003, option 2. You tell us what you are looking for and we will do the rest. We will send you details of properties that match your criteria and arrange viewings of any properties that you are interested in. We aim to provide you with viewing times that suit you. Most viewings take place in the early evening and late night viewings are available on Thursdays but we are flexible. When you have decided that the property is for you, we can start our referencing process. However, please bear in mind that the submission of the referencing application is no guarantee of tenancy. A final decision as to whether or not a tenancy can proceed will depend on responses received and will be made in consultation with the landlord. In order to carry out a reference, there is a charge of £75 per applicant. This is non-refundable, so please be aware that if you do not pass referencing or you decide not to proceed after you submit your application, you will not get your money back. Our referencing is done online so you will not need to provide us directly with any information. Instead, you will receive a text message within 48 hours of making a referencing payment, which will give you the website details and a reference number for your application. You will then need to go online and provide the relevant details. You will be required to provide personal details, ranging from name and address to occupation and salary. You will be asked to provide financial, employer and character references as we can only agree to a tenancy subject to satisfactory replies from those referees. Our investigations will also include a search of the credit registers to establish your financial credibility and contacting your previous landlord/agent if you were previously a tenant. These are routine procedures are taken to protect all parties. If the financial references show that affordability of rent is low or a low credit score, you will require a guarantor, who must also be referenced. There is a £50 non-refundable fee for this. Prior to making a referencing application, your guarantor must be aware that, should you be successful in securing the property and default on rent payments, they will be liable for paying all outstanding rent. As soon as we have received satisfactory references, you will be offered the property. This is subject only to the terms of the tenancy agreement, the payment of the deposit, the agreed advanced rent and the landlord’s agreement that the tenancy can proceed. Once referencing is complete, we can arrange a move in date that is mutually agreeable for both yourself and the landlord. We will send you a copy of the tenancy agreement to review prior to you moving in to ensure you know both your responsibilities and that of your landlord. 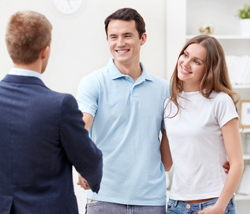 Upon moving in, you will need to sign your tenancy agreement and provide photographic ID. If you have a guarantor, your guarantor must also be present so that they can sign the tenancy agreement. You will also need to pay your first month’s rent in advance plus a deposit, usually equal to one month’s rent. A deposit is required for all tenancies and is held by the Deposit Protection Scheme. It can be used to cover the cost of any damages to the property that are beyond fair wear and tear. These damages will be measured against inventory upon move out. The deposit will be returned to you at the end of the tenancy term without interest and subject to a deduction for damage or any other deductions that may be necessary to compensate the landlord for any breach of the tenancy agreement. The same security deposit is required from Housing Benefit Tenants. If the council are providing your deposit under the bond scheme, we must have confirmation of this in writing prior to move in. An administration fee of £150 is also payable upon move in. This covers the cost of setting up the tenancy and move in process. If you wish to pay your rent, deposit and admin fee by card, this must be paid 3 working days in advance so that funds are cleared in our account. If you are paying by cheque, you will need to pay this 7 days in advance. As well as a copy of your tenancy agreement, you will receive a copy of your inventory and details of who to contact if you have any problems with the property. We will also provide you with a list of out of hours contact details, so that you always have someone on hand to assist in a crisis. Your rent will become due on the same date every month, beginning from the date you move in. If you wish to move your rent due date, you will need to contact our office and pay any difference required. Please note, we only accept payment by standing order. It is your responsibility to check that your standing order is set up in time for your next rent due date. Where there are a number of occupiers sharing accommodation, each person is jointly and severally liable to pay the rent as tenant and will pay the rent as a whole. Each tenant is jointly and severally responsible for the whole rent so that they are equally liable for the non-payment of rent by one of their co-tenants, should they fail to pay. You are responsible for paying for all council tax and utility bills. We will notify the council and utility companies that you have moved in so you don’t have to. If you wish to change utility provider or method of payment during your tenancy, you must obtain landlord permission. From time to time, you may experience issues with the property. 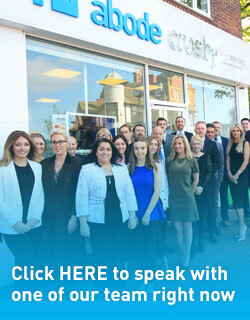 If we are managing your property on behalf of the landlord, we will be your point of contact. 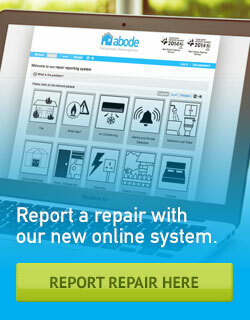 You will need to report maintenance issues to our property maintenance team on 0151 909 3003. They will be on hand to ensure all issues are resolved as quickly as possible, with minimum fuss. It is standard procedure for us to inspect the property every three months. This is to ensure that that you, as the tenant, are fulfilling your responsibility to keep the property well maintained and in good, clean condition. It is also an opportunity for you to discuss with us any issues that you are having and raise any concerns. However, we ask that you notify us of any issues as they arise so that we can take appropriate action as quickly as possible. We will always contact you prior to inspection to arrange a mutually convenient time to attend. 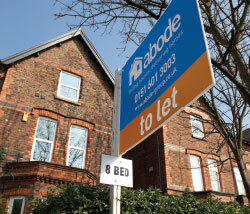 Our standard fixed term for a tenancy agreement is six months. As you enter month five of your agreement, we will contact you to ask if you wish to renew your tenancy, provided this is how the landlord wants to proceed. If you wish to renew, we will arrange a time to inspect the property and sign the renewed tenancy agreement. If you wish to enter into a longer fixed term, we will ask your landlord’s permission and arrange this for you. There is a £72 charge for renewing your tenancy agreement, payable by card or cash. If you wish to pay by card, you must make payment 3 working days prior to renewal date to allow for funds to clear in our account. Should you not wish to continue at the property, you will be required to give one month’s written notice on the date your rent is due. We will then arrange a check out inspection. Upon move out, we will inspect the property against the inventory, take meter readings and collect the keys. The inspection will take note of any damages that may be deducted from the deposit. Fair wear and tear will always be taken into consideration when assessing the condition of the property. You will be informed of any deductions and your deposit released within 10 working days. We will require a forwarding address from you in order to release your deposit. If you disagree with any deductions, the Deposit Protection Scheme will deal with this via their dispute resolution service. To make moving out easier for you, we will advise utility providers and council tax that you have left the property and ask them to forward final bills to your new address.